Darco is, without a doubt, one of the most successful breeding stallions of all time. 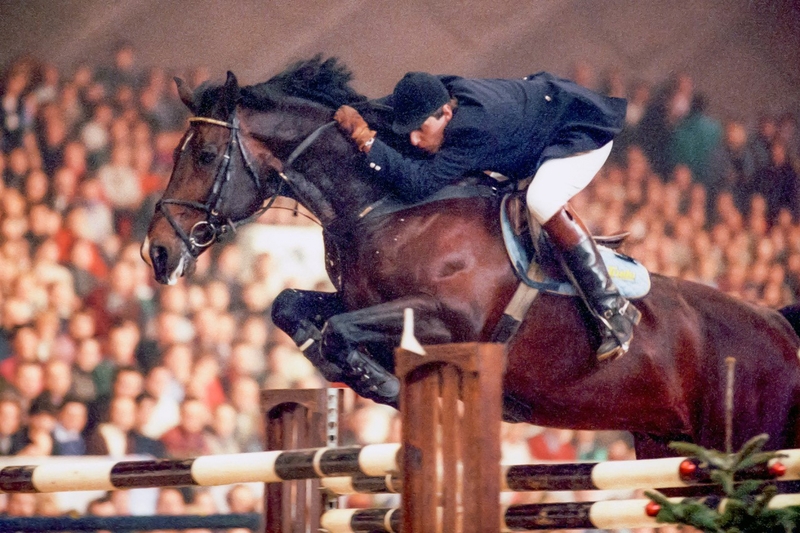 For five years, he held the top position of the WBFSH-rankings for show jumping stallions. No competitor ever did better. Only eight years after his death, Darco was no longer to be found in the top 10 of the list. But at Jumping Mechelen, where he and his rider Ludo Philippaerts were right at home, we have not forgotten about him yet. Every year, we honor this equestrian legend by organizing the Darco Cup, an exciting competition in which teams riding descendants of the same stallion compete against each other. A team consists of 3 riders. They all ride a descendant of the same stallion. The first riders jump a 1.10 meter high course. For the second riders, the jumps will be as high as 1.20 meters. The third riders get to take on a 1.30 meter course. The team result is determined by the total amount of penalty points collected by all members and the time of the last rider (1.30 meters). Only 10 teams get to enter the Darco Cup final in Mechelen. To participate, each team must therefore qualify. The qualification competition will take place on Saturday, November 17 in Lier (Azelhof). You can register until Monday 5 November via the VLP website (changes until 12 November). All participating horses must be registered in a WBFSH-approved studbook. The final will take place in the Arena A of Jumping Mechelen on Thursday 27 December. Please take a look at the regulations to find out more about this national competition.